Kerry County Museum is delighted to host a new temporary exhibition showcasing more than 30 local artists. Art in the Park – Off the Rails is a new project curated by Mary Greene, Arts and Tourism Officer at Tralee Chamber Alliance. 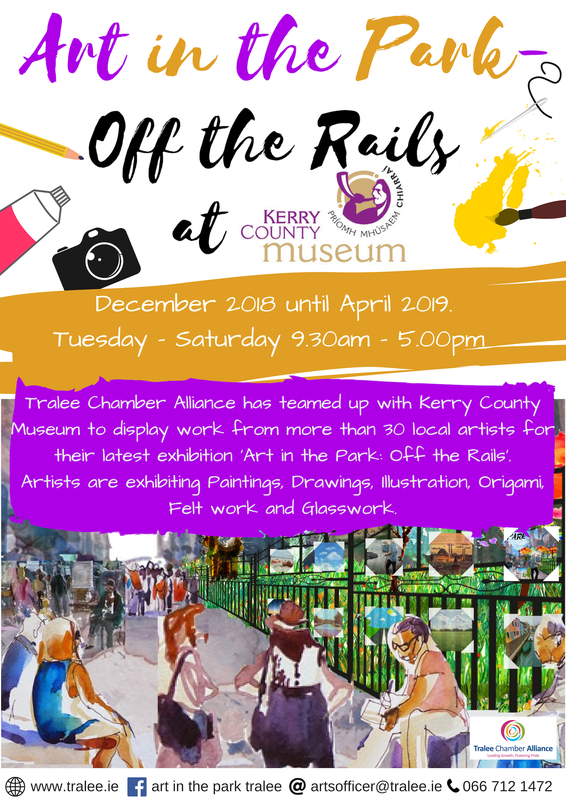 Following her huge success Art in the Park which brought a splash of colour to Tralee Town Park during the summer months, Off the Rails sees this eclectic and creative community art exhibition on display at Kerry County Museum from 30 November 2018 until April 2019.